For the alto sax players! The Jackson 5 Bass Line. Again, you can learn it by ear and disregard the diagrams and learn it by ear or you can go ahead and use them to play along. It should be played slow enough for you to get it by ear. 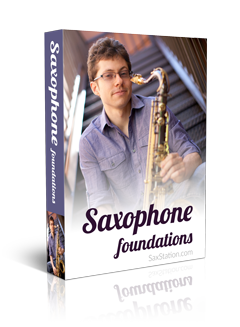 The first note on alto sax is F. To give you a quick hint upfront. AWESOME J5, BUT WHERE’S THE REST? It was recorded by the Jackson 5. Definitely a cool bass line, but it’s probably more applicable for a sax player to play a piece of it. Knowing the first part should get on track to learning the rest if you want to though. hello i wanted ask how do you bend a note on the sax? also it would be really awesome if you put a tutorial on how to play the sax parts in the song “I’ll be” by Edwin McCain. Please!!!! I might do a lesson on that. It’s basically a movement of your lower lip, but it’s subtle. You can exaggerate it by moving your jaw to get the effect. But you want control when you bend notes and you don’t want to overdo it. I’ll check out that song, might do a lesson.